Norrina Allen, associate professor of preventive medicine at Northwestern University Feinberg School of Medicine, shares the results of a large new Northwestern Medicine study that finds adults who ate more eggs and dietary cholesterol in general had a significantly higher risk of cardiovascular disease and death. "We were particularly interested in eggs because it's one of the richest sources of cholesterol in the American diet, as well as processed meats and red meats. So, we examined all three of those dietary sources of cholesterol and what we found was that eggs were associated with increased heart disease." The scientific community has sent us mixed messages about cholesterol consumption for decades. A new Northwestern Medicine study published in JAMA offers a new look at this issue and has found a good reason to limit how many eggs we eat. Norrina Allen, PhD, associate professor of preventive medicine at Northwestern, is the corresponding author of the new study. The study found that eating three to four whole eggs per week was associated with a 6 percent higher risk of cardiovascular disease and an 8 percent higher risk of any cause of death. Norrina Allen: "One of the strengths of this study is that we had a really large sample. We collected information from individuals across the United States at different ages, across race, ethnicity. So we have a very diverse sample. And we followed them for a long time. We examined their diet, and then we followed them for over 30 years. And really determined what happened to them as they aged." Allen's team was particularly interested in eggs because it's one of the richest sources of cholesterol in the American diet, along with processed meats and red meats. They examined all three of those dietary sources of cholesterol and found that eggs in particular were associated with increased heart disease. Norrina Allen: "For every 300 milligrams of dietary cholesterol that you ate, you had a 17 percent higher risk of incident cardiovascular disease and an 18 percent higher risk of all cause death. And we found that if you took into account the cholesterol contained in eggs, that it was the cholesterol that was really explaining this relationship. And so that's really what's causing the heart disease and mortality we believe in this study." Even in individuals who exercised and ate an otherwise healthy diet, the study found higher cholesterol consumption was associated with a greater risk of death from heart disease or other causes. This new finding is a good reason to take a closer look at the U.S. dietary guidelines, Allen says. The guidelines state that there's no appreciable relationship with cholesterol and your diet and your blood levels of cholesterol. Norrina Allen: "We know that for some individuals that's true. The issue is that it's highly variable. There are some people who can eat a lot of cholesterol and their body metabolizes it quickly. For other people, that's not true. The more cholesterol that they eat, the more cholesterol that will be absorbed by their body. And there's very different patterns in the relationship between the cholesterol you eat and the cholesterol in your blood. So we believe that there is a stronger relationship between the food you eat and the cholesterol in your blood among individuals, for example, who are overweight. The liver just has enough fat in it that it can't absorb any more cholesterol from the diet and it gets put into the blood." Allen says more work needs to be done to really understand what groups of individuals in the U.S. are susceptible to the harmful effects of high dietary cholesterol so that they can be flagged as high risk and interventions can be put in place to prevent them from developing heart disease. Norrina Allen: "This is one large study. I think it's an important study that can be the basis of reevaluating those [U.S. dietary] guidelines, but we need additional studies to really support the public and making decisions about cholesterol foods, cholesterol containing foods, such as eggs and processed meats and red meat." 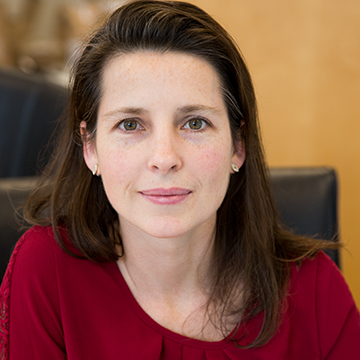 Erin Spain: This is Breakthroughs podcast from Northwestern University Feinberg School of Medicine. I'm Erin Spain, executive editor of the Breakthroughs newsletter. Like so many favorite foods we humans enjoy, eggs are often given a bad rap. It's not so much the white of the egg as it is the yolk, while it's packed with nutrients it is also rich in cholesterol. And the scientific community has sent us mixed messages about cholesterol consumption for decades. A new Northwestern Medicine study published in JAMA offers a new look at this issue and has found a good reason to limit how many eggs we eat. Norrina Allen, associate professor of preventive medicine at Northwestern and corresponding author of the new study is here to explain. Thank you so much for being here today. Norrina Allen: It's my pleasure. Erin Spain: So you specialize in cardiovascular epidemiology and one of the areas you study is diet. So I have to ask, do you eat eggs? Norrina Allen: I have to say I do for many of the benefits, but I definitely try and limit them and I strongly believe in everything in moderation. Erin Spain: And we're going to talk a little bit more about why you say that. Well, how do you like your eggs? Norrina Allen: I like mine scrambled. No butter, no cheese, just some spinach mixed in. Erin Spain: As a food, eggs really do pack a nutritional punch. It's a good source of protein, but what else makes up an egg? Norrina Allen: So there are a lot of components to an egg, like on almost all food that we eat. There's good parts and there's bad parts and it's hard to say that they're completely one or the other. So eggs have a lot of essential amino acids. They have iron, they have choline, but they also have cholesterol. And the cholesterol was really what we were studying and interested in the effects of that cholesterol on health. Erin Spain: And the cholesterol is found in the yolk. Erin Spain: And that's the culprit. You said that showed up in this new study in JAMA. So you found that eating three to four whole eggs per week was associated with a 6 percent higher risk of cardiovascular disease and an 8 percent higher risk of any cause of death. How has this finding different than the other findings in the past about eggs? Norrina Allen: Well as you mentioned in the beginning the literature around eggs in their association with health has been really mixed. We have seen studies that have showed a protective effect. So it's good for your health. We've seen ones that didn't have any effect and now we've seen some that have a harmful effect. This study is really demonstrating that the cholesterol and the egg yolk, may have a harmful effect and lead to the development of heart disease and mortality later in life. Erin Spain: And the reason this study is different, it has to do with the data that you collected. It comes from all these different cohorts' studies. Tell me a little bit about the data and how that sort of changes what we know now about eggs. Norrina Allen: Yeah. I think one of the strengths of this study is that we had a really large sample. We collected information from individuals across the United States at different ages, across race, ethnicity. So we have a very diverse sample. And we followed them for a long time. We examined their diet and then we followed them for over 30 years. And really determined what happened to them as they aged. Erin Spain: And what happened was they had listed right all the food that they've eaten in the past month. Tell me about that part of it. Norrina Allen: So another key strength as you mentioned, is the really detailed assessment of who they are, what their health is and what they ate. So for all of the individuals, they came in person to a research clinic, we did really thorough evaluations of their health. And we also ask them very detailed lists of all of the things that they eat in their diet, one of which was eggs. But it was only one of the many other ways we assess what they've eaten in their diet. And then we have followed them and talk to them almost every six months to a year to find out whether they developed heart disease. And what happened to them. Did they die in long-term? Erin Spain: And you were able to really sort of suss out in this data that eggs do play a role, an early death or cardiovascular disease. Tell me about that. Norrina Allen: Yeah. So we were particularly interested in eggs because it's one of the richest sources of cholesterol in the American diet as well as, processed meats and red meats as well. So we examined all three of those dietary sources of cholesterol and what we found was that eggs were associated with increased heart disease. So for every 300 milligrams of dietary cholesterol that you ate, that you had a 17 percent higher risk of incident cardiovascular disease and an 18 percent higher risk of all cause death. And we found that if you took into account the cholesterol contained in those eggs, that it was the cholesterol that was really explaining this relationship. And so that's really what's causing the heart disease and mortality we believe in this study. Erin Spain: And also in this study you looked at just cholesterol coming from other foods as well. Um, you found that eating 300 milligrams of dietary cholesterol per day, whether from eggs or other foods like butter or red meat also has consequences even if you exercise a lot and you're watching your diet otherwise. Norrina Allen: Correct. Yeah. We found that it was really consistent across characteristics of individuals within the population that higher cholesterol consumption was associated with a greater risk of death from heart disease or other causes. Erin Spain: So one limitation that you talk about in this study was that you didn't have the long-term eating patterns of all these people. This was at one time when they came in the clinic, they listed all the food they had had the month before and that's what you used as you've followed their outcomes. So that is a limitation, but you still feel like it's a good snapshot of what people might be consuming typically. Norrina Allen: Definitely. Yeah. We ask questions that we think are representing what they usually eat, the way we ask them. And then we also have some data on individuals over time and we know that people tend to have pretty similar eating pattern throughout their life. You know, we might make small changes here or there, but most of us have a habit of food that we love or I'm a breakfast that we eat almost every day. Erin Spain: So a headline in the Washington Post just a few weeks ago announced that Americans are on track to the most eggs and nearly half a century, and egg consumption per capita has increased more than 6 percent in 2016 now, there is a reason for this spike in popularity and it has to do with the most recent U.S. Dietary guideline recommendations. Tell me about these new guidelines and the effect that it may be having on a consumption. Norrina Allen: So these new dietary guidelines say that there's no appreciable relationship with cholesterol and your diet and your blood levels of cholesterol. And we know that for some individuals that's true. The issue is that it's highly variable. There are some people who can eat a lot of cholesterol and their body metabolizes it quickly. For other people, that's not true. For other people, the more cholesterol that they eat, the more cholesterol that will be absorbed by their body. And there's very different patterns in the relationship between the cholesterol you eat and the cholesterol in your blood. So we believe that there is a stronger relationship between the food you eat and the cholesterol in your blood among individuals, for example, who are overweight. The liver just has enough fat in it that it can't absorb any more cholesterol from the diet and it gets put into the blood. So we really need to understand what groups of individuals in the U.S. are really susceptible to the harmful effects of high dietary cholesterol so that we can work to intervene and prevent them from developing heart disease in the future. Erin Spain: So how do you do that? Do you start when they're young, was sort of baseline blood work or how do you assess who's more at risk? Norrina Allen: Well, there's a lot of ways and there's a lot of reasons people are at risk, but definitely the idea is prevention. The younger we can start teaching healthy diets, healthy lifestyles, and preventing the risk factors for heart disease later in life, the more we're going to prevent the development of heart disease and morbidity. So we really want to start in childhood and promote healthy eating, promote physical activity, promote seeing their physician and getting regular routine care. These are all things that are going to do a better job at preventing heart disease then trying to change our diet when we're in the middle of life and things are very busy, so the more we can do early on, the better we're going to be at preventing heart disease. Erin Spain: And you know this because this is what you study, you study cardiovascular health across the lifespan and basically when a child, a baby is born, when they are young, most healthy babies were born with a pretty perfect cardiovascular health. What happens from there? At what ages do kids really start developing some of those risk factors? Norrina Allen: Well, actually I'd argue that not all kids are born and ideal cardiovascular health. That was what we believed for a long time. But the more we understand the origins of heart disease, the more we're realizing that it starts actually in utero. Even, you know, the mother's health is influencing that child's health. So there are unfortunately a large group of children born in the United States who are already at a disadvantage and likely to lose cardiovascular health very early in life. And many of that, that loss of ideal levels of physical activity and diet happen early in life. So some of our other research has shown that by age eight there's already a group of about 10 to 15 percent of kids who are no longer an ideal cardiovascular health. And that's really early if you think about it. You know, those kids are just starting to develop their own habits and preferences. And so that's I think where we need to be intervening. Even before they develop those bad habits. Erin Spain: With a study like this now out in the literature, do you think it's time to take a closer look at the U.S. guidelines? Those guidelines do seem to be impacting the way people are eating, especially items like eggs. Norrina Allen: I think, you know, the U.S. Public is very confused about the Diet because the literature really goes back and forth. You know, one day eggs are shown to be good, the next they're not. The nuances of understanding diet are really complicated because as we said, there are good and bad parts of every food that we eat. And weighing that is really difficult if you're trying to choose between two food options. So, I think the dietary guidelines need more information to really be informed and to inform the public on what the best strategy is and how and whether to reduce cholesterol. This is one large study. I think it's an important study that can be the basis of reevaluating those guidelines, but we need additional studies to really support the public and making decisions about cholesterol foods, cholesterol containing foods such as eggs and processed meats and red meat. Erin Spain: You mentioned before, there's some people that are more affected than others by foods like eggs and high cholesterol foods. And there are doing, we're doing a lot of studies right now at Northwestern to sort of figure that out. Right now what can somebody do if they want to know how they're impacted by foods like eggs? Norrina Allen: Well, you know, it's a very complicated area of study, one we actually really don't know a lot about. So there have been some research showing that people with diabetes for example are more likely to absorb more of the cholesterol that they eat into their blood. And there's some other literature that I suggested that people who are overweight or who have fat in their liver are also more likely to absorb the cholesterol that they eat. Right now the best suggestion is to really limit the amount of cholesterol you eat for everybody and to really eat a diet that's rich in fruits and vegetables and whole grains. I think, you know, that is really the best for everyone. Regardless of whether you absorb cholesterol more or less. Erin Spain: And the old guidelines before they changed them a few years ago did say the about 300 milligrams of dietary cholesterol was what people should aim for. But that might be too much based on what you found in this study. Norrina Allen: We did find a linear association so that there was a relationship between cholesterol intake and heart disease and mortality even below that 300 milligrams. Erin Spain: What is that ideal diet then? You mentioned a lot of fruits and vegetables and limiting animal fat, but is it the Mediterranean Diet? Is it the Dash Diet? What, what's the best out there? Norrina Allen: I don't know if I can say that. I wish I could. Um, and then we could all follow that one. Um, but I think that what, all, all of those diets often have in them is a plant based kind of focus with high fruits and vegetables. And I think most researchers would agree that eating more fruits, vegetables, plants, whole grains is going to lead to a better health and reduced risk. Exactly what proportions and in what other meats that you should eat. I think that that's going to be highly variable and really kind of a personal decision. Erin Spain: Going back to a little more about this dataset. It was also a pretty diverse group, which is different than maybe some of the other studies that have been out there. Tell me what, what you mean by it was a diverse group. Norrina Allen: So the people in our study were from all over the country in the United States. They were of all different ages, adults, and they were of different races and ethnicities. So we have Hispanic individuals, we have African Americans, we have whites. So they were really diverse in a lot of the demographic characteristics and we believe kind of represent the U.S. Population a bit better than some of the other studies that had been published before. Erin Spain: And that can make a big difference when you're looking at outcomes because it's depending on your ethnicity and gender, you might have a different reaction to these foods. Norrina Allen: Definitely, yes, and especially diet because this is only one component of diet. And so the rest of the diet impacts their risk as well. And so we tried to take that into account, but our population is very different than some of the other populations that have published results in the past. And the difference in our findings may be explained by those differences in the populations. Erin Spain: Because some of the other studies that are out there right now or even in other countries like China that they have not adapt with the same diet that we have here. Norrina Allen: No. Unfortunately though they're moving that way as well. But that is definitely correct. China, there've been other countries in Africa and Asia as well that have reported different findings and it may be because, you know, their diet is not rich in cholesterol and other ways or saturated fats and things like that. Erin Spain: Are you using these same cohorts to look at other areas of diet and cardiovascular health? Norrina Allen: You know, that's a great question. Um, yeah, right now we are using very similar cohorts to look at the associations of physical activity or blood pressure, cholesterol levels in the blood. And many of the cardiovascular risk factors we're interested in. We're also trying to expand these cohorts to include ones with children so we can really understand, as we talked about, the origins of heart disease and really the cardiovascular health across the lifespan. Erin Spain: How difficult is it for Americans to sort of, and what is the ideal cardiovascular health and how difficult is it to achieve? Norrina Allen: As you may know, cardiovascular health actually includes multiple risk factors that we know for heart disease. So it includes obesity, it includes hypertension or blood pressure, it includes diabetes, cholesterol levels, physical activity, smoking and diet. In the U.S. only about 5 percent of adults actually achieve ideal cardiovascular health. And that's a really small number if you think about it. But if you achieve ideal cardiovascular health in middle age, you'll virtually eliminate your risk of heart disease in later life. So the benefits are phenomenal. Erin Spain: What is middle age mean? What age? Norrina Allen: Most of our work has been looking at cardiovascular health at about 45 to 55. But even at any age, we've always found an association of being an ideal cardiovascular health and long-term outcomes. The important thing I think is that the reason that the majority of us adults aren't in ideal cardiovascular health is really because of the diet component. The diet component is the most difficult one for all of us to achieve. Erin Spain: What's been the reaction so far out there from the media world and your fellow scientists? Because this is a topic that just keeps coming up over and over of eggs. Norrina Allen: It is, it's one of those topics that we have learned a lot, but we still have a lot more to learn. And the findings have been so mixed that, the lay public, the public and the media are struggling to really understand why findings are so different across studies. And even as researchers, we are really working hard to understand why some studies find an association and others don't. But everyone's very interested and everyone's personally invested in that because they enjoy eating eggs or you know, feed their children eggs and really want to know how to make it the healthiest diet that they can do. Erin Spain: So the takeaway message here is in moderation, eggs in moderation. Norrina Allen: I would agree. Yes. Erin Spain: All right. Well, thank you so much Dr. Norrina Allen for joining me today. Norrina Allen: Thank you very much for having me on.